Agathis lanceolata (Lindl. ex Sebert & Pancher) Warb. 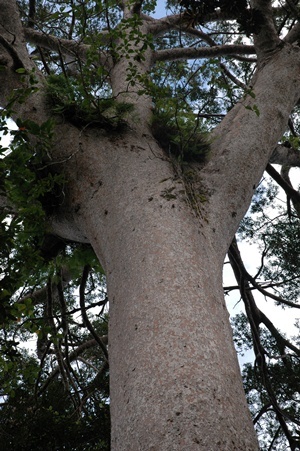 One of four species of Agathis endemic to New Caledonia, where threats such as selective logging, fire and land clearance have caused serious fragmentation. Tree up to 40m tall and 1m or more d.b.h., bole cylindrical, broad crown radiating above. Bark smooth, exfoliating in large quantity, scales up to 20cm across, exposed bark grey, reddish when shaded. Leaves (mature) almost opposite, 9‒13 x 3‒5cm leathery, multiveined, glabrous, pale green. Male pollen-cones axillary, solitary, cylindrical, 2‒2.5 x 0.8‒1cm, with 8 bracts at their base arranged in pairs, each pair at right angles to the pair next above or below. 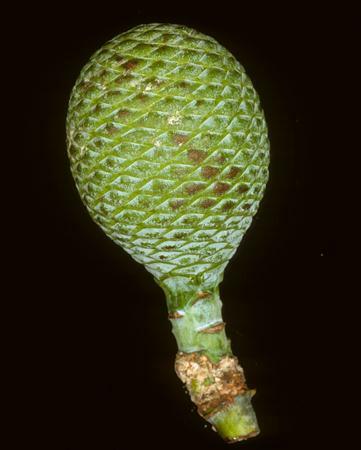 Female seed-cones solitary on thick stalks, globose, 10‒12cm across, green or glaucous green, very reinous, brown when mature. Seeds 12‒15 x 0.7mm, with two unequal wings. Agathis lanceolata is endemic to the main island of Grand Terre in New Caledonia. Its distribution is concentrated in the south of the island with outlying localities in Province Nord on the Boulinda and Mé Maoya massifs and the Col Maré. The total population is estimated to be less than 10,000 mature individuals with no subpopulation containing any more than 1,000 individuals. 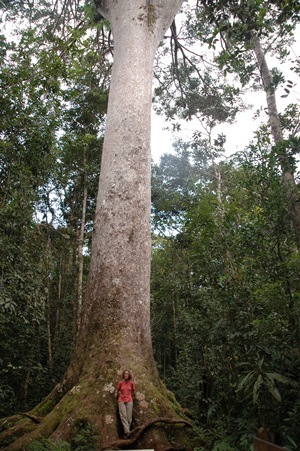 A large emergent tree restricted to dense humid rainforest on ultramafic substrates. Occurs at altitudes ranging from 200 to 1,100m. Agathis lanceolata has a history of exploitation for its timber and has undergone a decline in its extent of occurrence (EOO), area of occupancy (AOO) and quality of habitat. 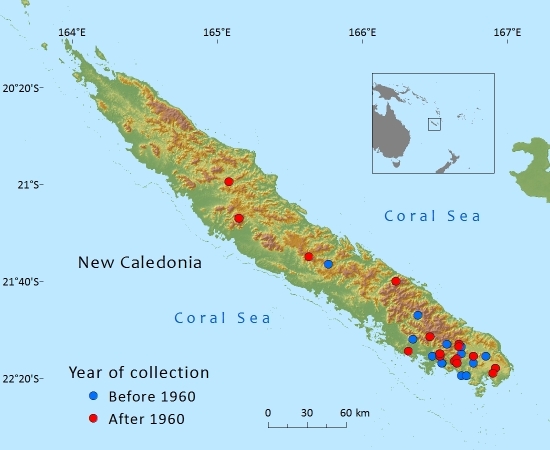 Its EOO is estimated to be 5,378km², based on herbarium specimens and field observations. Overexploitation has led to a significant decline in numbers of individuals, habitat degradation and habitat conversion, extent of occurrence and area of occupancy. The subpopulations are severely fragmented, as more than half the individuals are in small and isolated patches. The estimated total population is less than 10,000 mature trees. Each of the main subpopulations contain much less than 1,000 mature individuals. The species has a history of overexploitation. Although plantations have been established, illegal logging is still a problem. Habitat fragmentation due to the effects of repeated fires and land clearance is another problem with most subpopulations restricted to fragments of primary forest, generally in sheltered valleys. Four of the main subpopulations are protected within reserves at Saille, Rivière Bleue, Mt Ongone and Thy. These are all low altitude sites in the southern part of its range. Suprin, B. (2011). Florilège des plantes en Nouvelle-Calédonie angiospermes ou plantes à fleurs (lauracées à zingibéracées). Tome 1. Nouméa: Éditions Photosynthèse, Nouméa. 519 pp. Smith, R. M., Marty, R. A. & Peters, C. F. (1981). 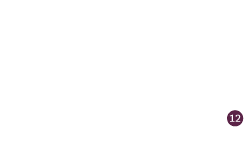 The diterpene acids in the bled resins of 3 Pacific kauri, Agathis vitiensis, Agathis lanceolata and Agathis macrophylla. Phytochemistry 20: 2205-2207. Thomas, P. (2010). Agathis lanceolata. In: IUCN 2012. IUCN Red List of Threatened Species. Version 2012.1.ww.iucnredlist.org. Downloaded on 29 June 2012. Whitmore, T. C. (1980). A monograph of Agathis. Plant Systematics & Evolution 135: 41-69. P.Thomas ,T.Jaffré ,J.Munzinger,and P.Lowry , 2016. Agathis lanceolata, from the website, Threatened Conifers of The World (http://threatenedconifers.rbge.org.uk/taxa/details/778).